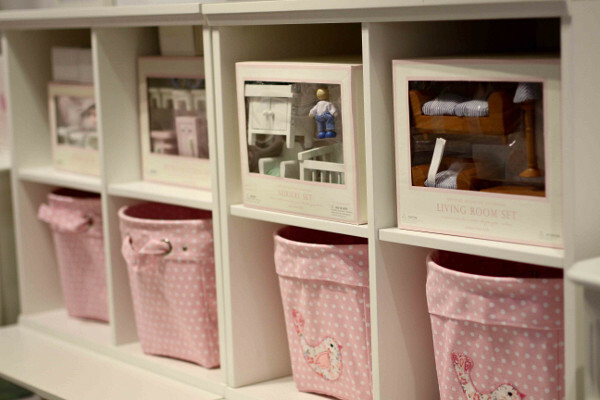 Babyology gets a pre-opening peek of Pottery Barn Sydney! 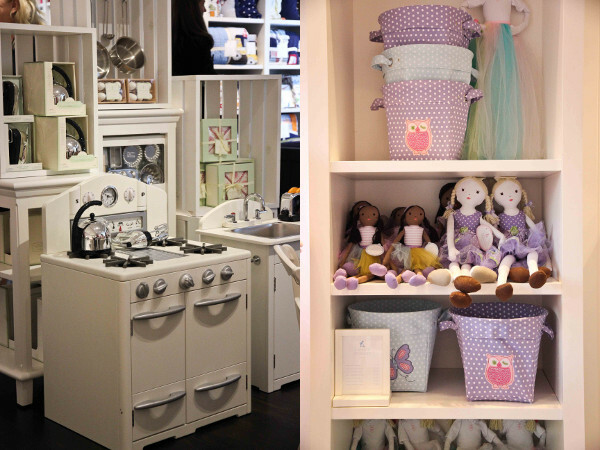 It is no understatement to say that the Babyology team has been crazy with excitement over the opening of Pottery Barn and Williams-Sonoma empire in Sydney this week. I was the very lucky writer who had the privilege of walking through that space for the first time. And really – wow. It is amazing. Come through for all the details. 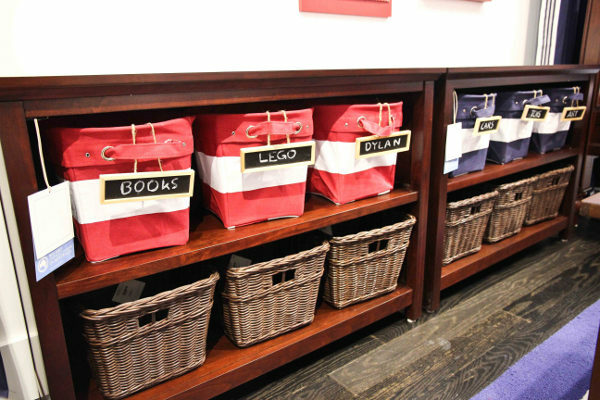 Pottery Barn Kids is one of a group of four stores in the Williams-Sonoma chain, and all four of them are opening tomorrow in the Oxford St Mall in Bondi Junction. It is the first time the interiors megastore has opened anywhere outside North America, and it’s happening right in our backyard. 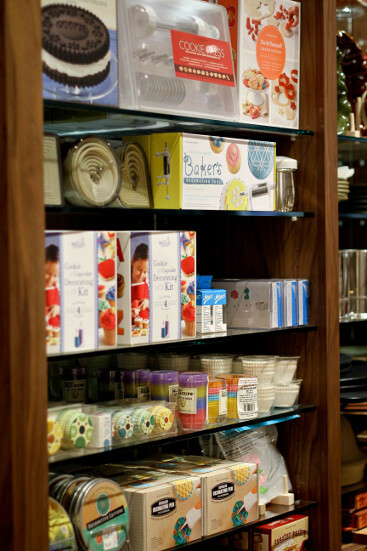 The other stores to open are West Elm and Pottery Barn (homewares and furnishings) and Williams-Sonoma (cookware and gourmet goodies for the home cook). I’ll give you some brief details on those three before we get down to the real business of the amazing Pottery Barn Kids. The first place we visited was Williams-Sonoma. The store is a delight, with an amazing range of not just utensils, table linen, tableware and tools for the home cook, but also appliances, an amazing juice bar (where customers can make a fresh juice while shopping!) and most impressively, an instore cooking school. This is a new innovation for Williams-Sonoma – none of their existing stores have anything like it, so Sydney will be their test kitchen, in a sense! They are aiming for the whole place to have a fun and relaxed environment – like your own kitchen, except there is someone there to help you master the kinds of great techniques that make cooking enjoyable and not a chore. 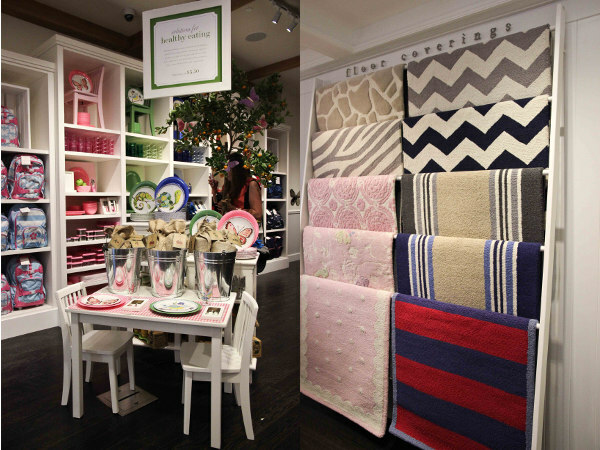 Next up were West Elm and Pottery Barn, two homewares stores, each with a slightly different emphasis. West Elm was originally a New York-based store, and you can see that influence in their furnishings and accessories. They aim for an eclectic mix of aesthetics, so it’s a little bit vintage, a little bit industrial, and especially, a little bit crafty. In fact, they have a partnership with Etsy (now in its third year), which means that selected items from a range of local Etsy sellers are available in the store. Pottery Barn holds a more classic style of homewares, and for the Australian market this season they have focused significantly on the themes of coast and country. 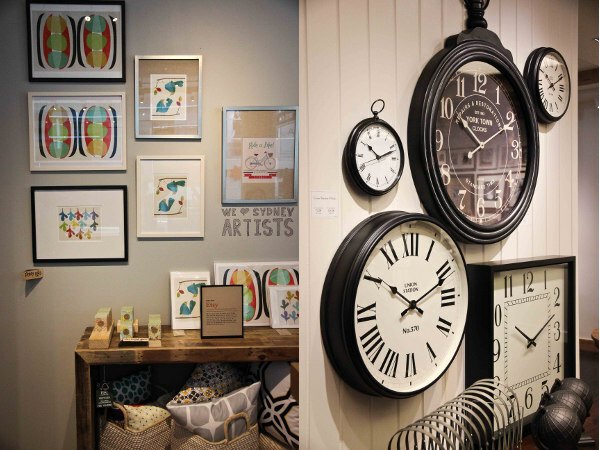 Different areas of the store are devoted to different areas of the home, and the staff are keen to help customers not only to design a room, but even to design and decorate for an event or party. 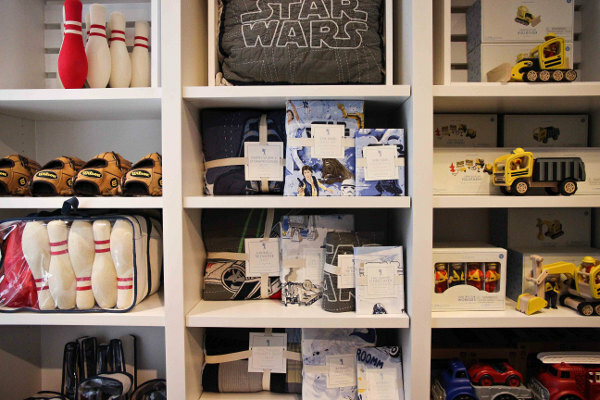 But let’s be honest – what we really want to know about is Pottery Barn Kids. What a spectacular store it is! Firstly, everything they stock is designed in-house and produced especially for them, so you won’t find it anywhere else. 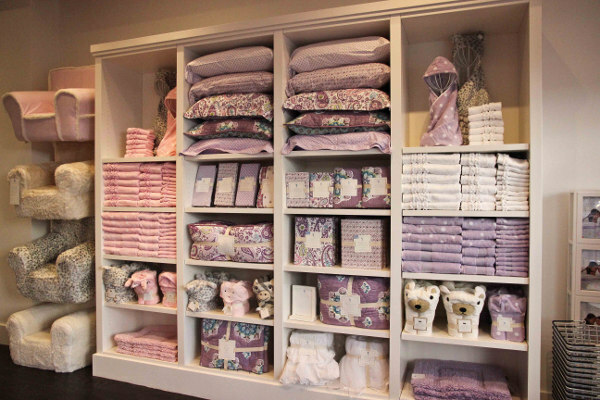 There is furniture (cots, glider chairs, beds, dressers and never-ending storage solutions), amazing co-ordinated linen and bedding, rugs, window treatments and a huge range of high quality toys. 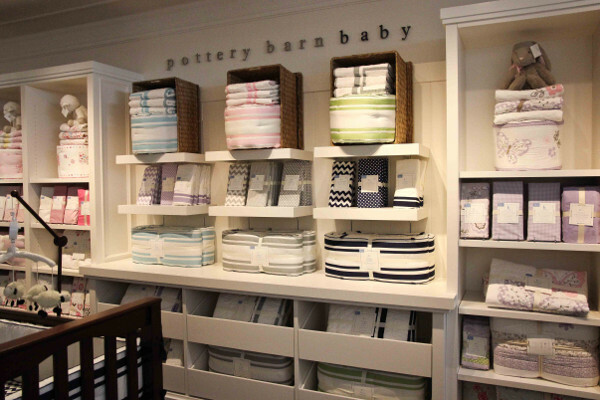 What’s more, Pottery Barn Kids is committed to making the store an enjoyable place to shop. The whole toy range has been selected especially to encourage creative and educational play. 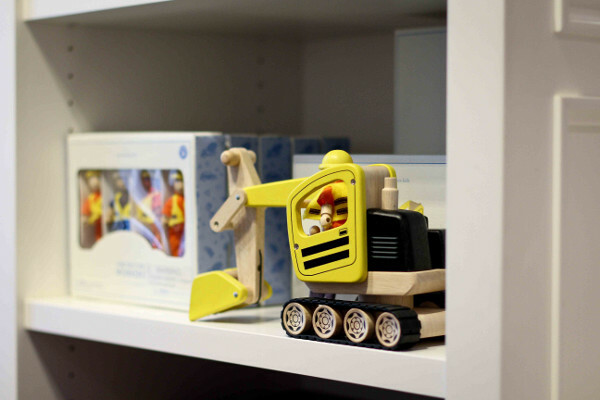 The toys are arranged at children’s eye level, and the staff assured us that once the store is open it will be much more chaotic – they expect to see children playing in the area, using the toys and even tucking themselves into the beds – and that’s exactly how PBK like it. For locals, there will also be a weekly storytime on Tuesday mornings – they’ll pull out all the gorgeous “anywhere chairs” from all over the store (you can see some in the shot below) and set them up so kids can get comfortable while listening to books aloud. Other regular events are on the cards too – seasonal craft, Halloween parades and tea parties are just a taste of what’s coming up. The actual floor space in the store is much smaller than the kinds of spaces PBK is used to working with in the States. That means that not everything in the range is there to look at, although of course the displays will change regularly. 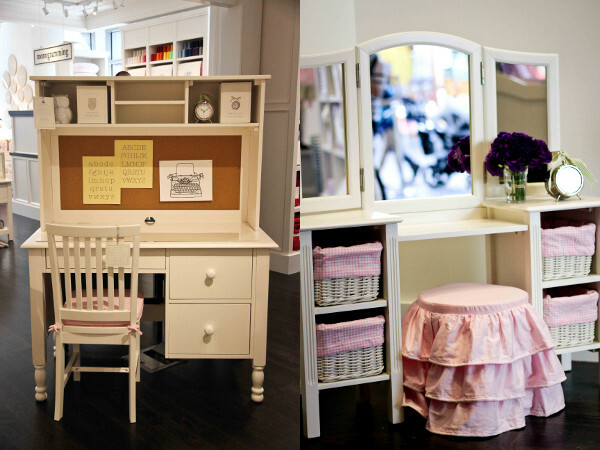 However, it IS all available on the new Pottery Barn Kids website, which went live this morning. What’s more, we have it on good authority that if you go into the store wanting something that is out of stock, they will post it out to you for free when it comes back in. Customer service seems to be what will really set PBK apart from the pack when it comes to helping you achieve an amazing look in your own home. They have their own design service (as do West Elm and Pottery Barn) and you can come in, or call them and they will sit down with you and design options for your space – absolutely free, and with no obligation to buy any of it at the end. They’ll even send designers out to your house to check out the space with you, if you live in Sydney. This seems to be a great way to start off buying a few statement pieces for the rooms you are decorating, knowing that you are heading towards a totally co-ordinated look, but you can achieve it piece by piece. Some Babyology readers have asked us if there are plans to open another PBK elsewhere in Australia, and sadly for non-Sydneysiders, at the moment the answer is no, although another West Elm is slated for Melbourne before the end of the year. Apparently Sydney was the location chosen for the first ever store outside of North America purely based on the amount of Sydney-based traffic on the US website! They recognise that Australian shoppers have taken to online shopping in droves, and everything that is available at the new Australian websites will be available for delivery anywhere in Australia. 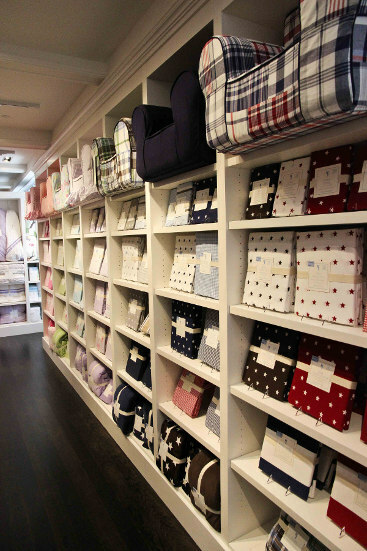 The US-based Pottery Barn site will no longer accept orders for Australia. And yes, as expected, the prices at the US site are cheaper than the local site. Having looked around all four stores though, I have to say that the prices are really reasonable for the quality and range of furniture and homewares on offer, and compare favourably to other homewares stores in Australia at the moment. 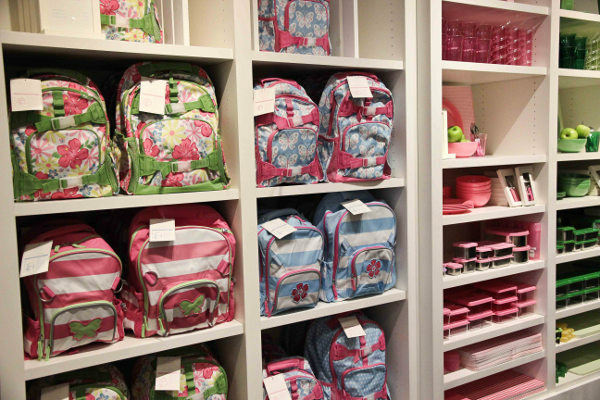 You can get a better idea of prices by going to Pottery Barn Kids and looking around. Moreover, they will ship all of their merchandise to anywhere in Australia, including offshore territories like Norfolk Island! I think we will find that the flat rates they offer for postage (a tiered pricing system dependent not on weight but on how much you have spent) will mean that the range has become more affordable to Australians than it ever was to order it from North America. 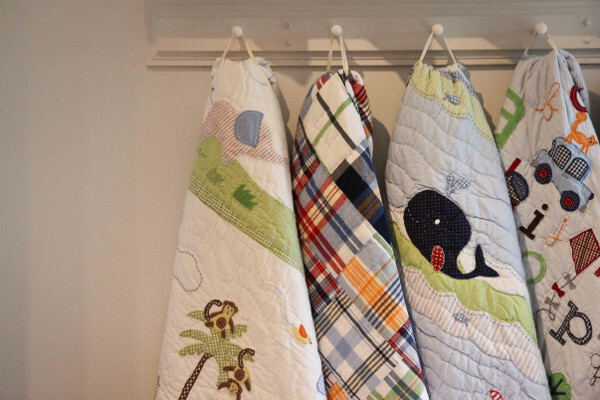 The pictures really tell the story, so feast your eyes, and then head over for the full range to Pottery Barn Kids. We’d love to hear from Babyologists who are going to brave the crush at the grand opening tomorrow, so make sure to come back here and let us know what you thought of it!